End of July post. I’m back! I was out for a bit dealing with a few health issues, alongside starting crafts projects for my blog, only to find out that I lacked a certain type of bead or material. Not the most lucky person, here! However, during my most recent visit to my local bead shop (which has now closed, I am very sad about that…) I noticed that one could buy rattail and cord threads for very cheap. I decided to start knotting some bracelets, and received a request from a male friend to make a set of bracelets. They had to be something masculine, and red and black in colour. This was a new challenge for me! I wanted to make the first one using a kumihimo style. I have made these before using rattail and silver caps, which looked quite feminine. 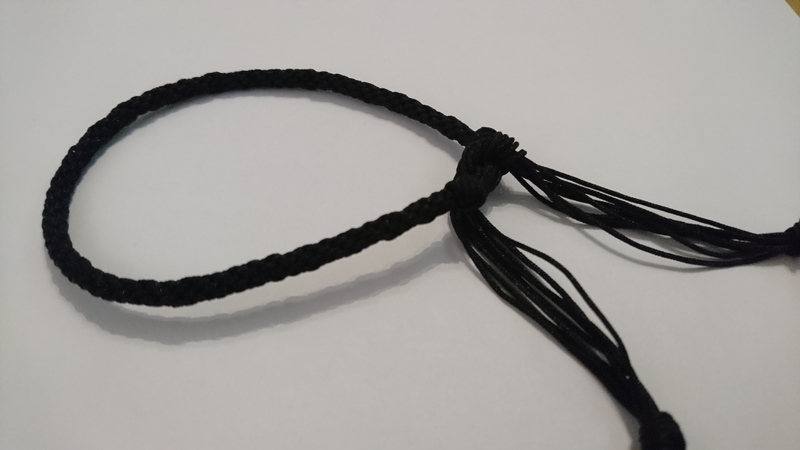 To make it masculine, I used black Chinese knot cord and used 8-thread kumihimo. I left a long tail so that the owner can use a square/reef knot to secure it. 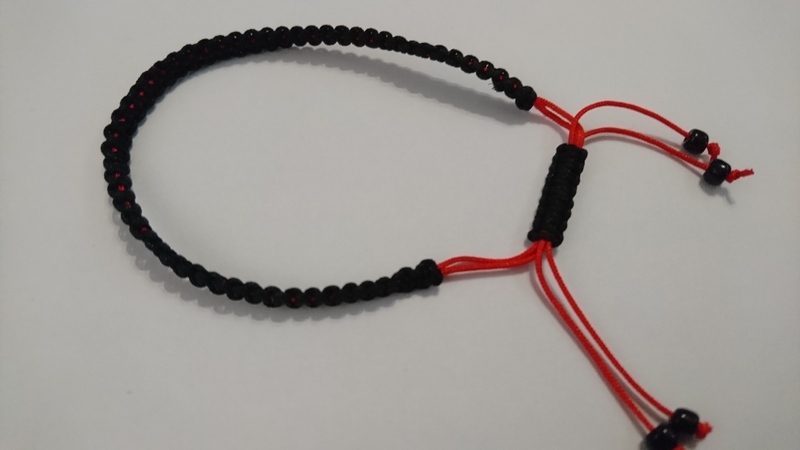 The next type was a macrame bracelet using red and black Chinese knot cord. The red is used as the base of the cord, so it doesn’t show through as much. I attached a sliding fastener and black beads to the ends. The last bracelet uses the fishtail method for the chevron pattern. 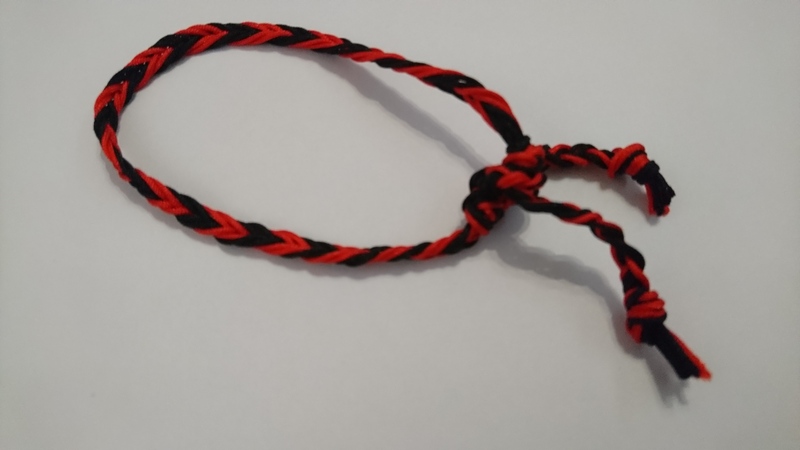 It uses equal amounts of red and black Chinese knot cord. The ends are knotted and plaited, so that a square knot can be used. The set will be gifted to the person, hopefully soon. I used it as a way to get better. Now I’m off to make more bracelets! 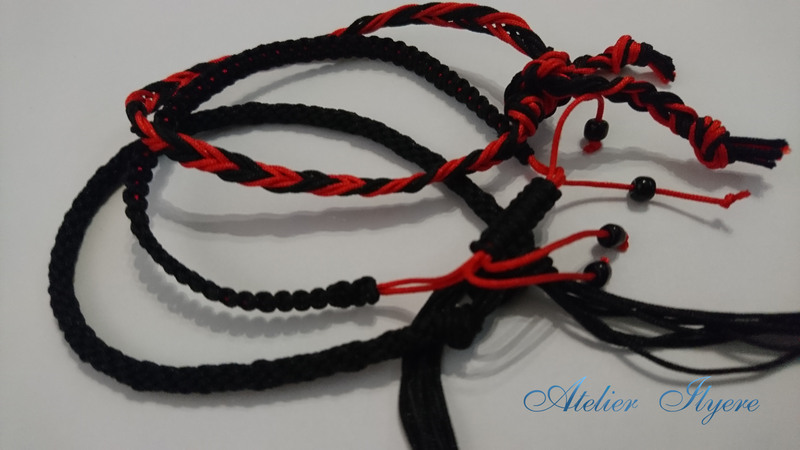 This entry was posted in Bracelets, Jewellery and tagged Black, Bracelet, Fishtail, Knot, Macrame, Red, Set. Bookmark the permalink.